At Access Bonding we can help you with your Baytown bail bond needs. Our goal is to get Baytown residents out of jail quickly, affordable, and discreetly, while showing compassion toward individuals seeking bail bonds services. We have been providing effective Baytown bail bonds services since 1976, so you can be confident that your Baytown bail bonds needs are being handled with knowledge and professionalism. For your convenience, many of our agents are bilingual. Having bilingual agents on staff helps minimize language barriers and ensures that you will understand more about Baytown bail bonds and the process of obtaining a bail bond. We also offer online forms to get you started! Our online forms allow you to begin your Baytown bail bonds process now, which will have you closer to your objective and speed up the release of your loved one! Feel free to contact us at any time. Access Bonding Service is the bail bonds company that Baytown trusts! Give us a call today and see how we can help you with your Baytown bail bond needs! Give us a call anytime at 713-223-3101. The Bail Bond Company Baytown Trusts! For over 35 years, Judy Gandmasion – Warren has dedicated herself to the bail bond industry and getting Baytown residents out of jail quickly affordably and discretely. 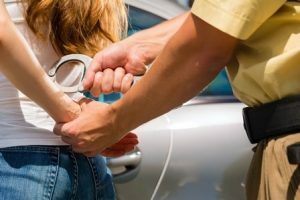 Whether your loved one is in need of a bail bond in Texas or Houston Harris County, Fort Bend County, or anywhere in the U.S. Access Bonding Service has a bond for you or your loved one. Access Bonding Service is able to provide Felony Bonds, Misdemeanor Bonds, or Non-arrest Bonds. As a Houston area, full service bonding company, Access Bonding has been helping people get out of jail since 1976. Access Bonding Service Agents are professionals who are committed to providing quality bail bond support to those in need. When you work with Judy, or one of her experienced Baytown Bail Bonds Service Agents, you will be working with a bonding agent who has the experience, understanding and compassion, and will help guide you through the entire bail bond process. We are conveniently located at 4803 Katy Freeway, Houston, Texas 77007, or call us at 713-223-3101. Many of our bonding agents are bilingual, so call us today for attention with your bonding needs.